Every August, as teams enter the grind of training camp, NFL Films embeds with one franchise and tells its story on Hard Knocks. This year, in its 10th season, the show that sports media writer Richard Deitsch has called “arguably the best reality show in television history” will focus on the Houston Texans. 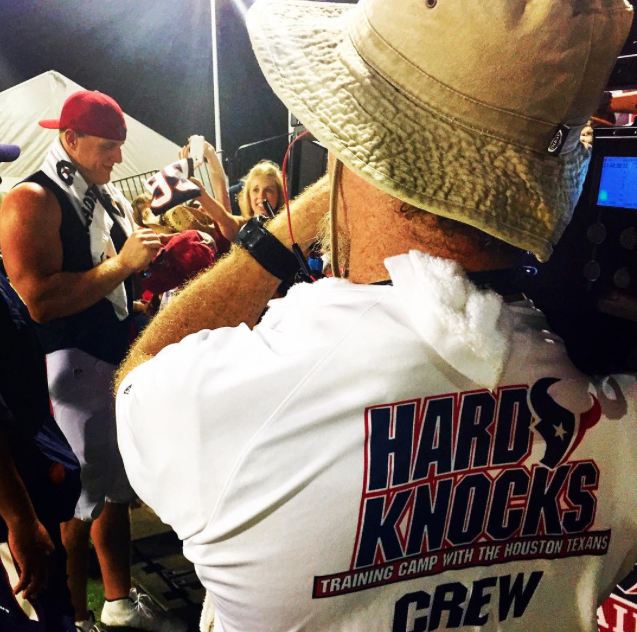 While viewers are watching the Texans experience training camp, what they don’t see off camera is the NFL Films crew in its own “training camp.” Hard Knocks is the first major production of the football season, but in some ways, it is also the company’s Super Bowl — the event at which every team member must perform at his or her best. And the challenge is not just felt on the ground in Houston, but also in the main office in Mount Laurel, New Jersey. Unlike other long-form documentary series that NFL Films produces, the turnaround is much faster for Hard Knocks. Almost as soon as the footage is filmed, it is fed back to the office to be screened and edited for the episode airing that same week — and sometimes that same day. In Houston, several production trailers are used to review footage and feed it back to NFL Films headquarters. 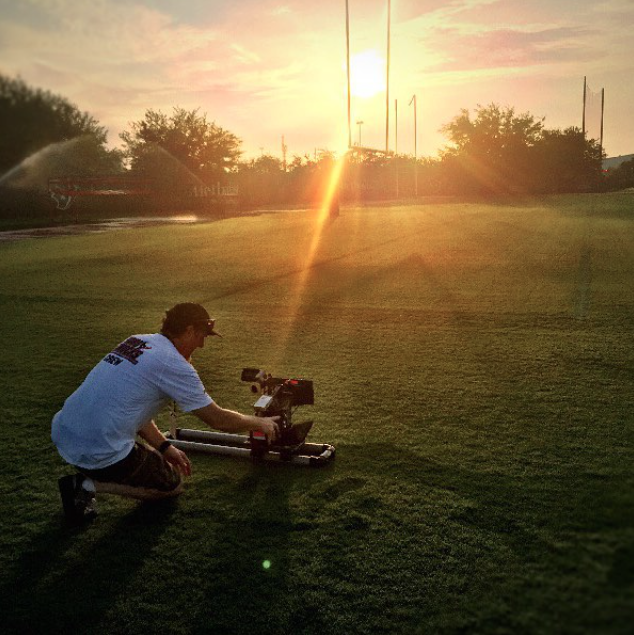 Here, NFL Films Cinematographer Ferdinand Le Grange studies material from early in Texans camp. Hard Knocks has been home to numerous big names over its time, from Ray Lewis, Terrell Owens, and Darrelle Revis, to Chad Johnson and Julio Jones. However, the case can be made that there hasn’t been a bigger superstar on the show than there will be this year in J.J. Watt. He was recently ranked in the top spot of the NFL Network’s countdown of The NFL Top 100 Players of 2014, another milestone in Watt becoming one of the faces of the League. But the reigning Defensive Player of the Year is just one of the potential story lines that Hard Knocks will cover. J.J. Watt could be one of the most talented players the show has ever seen. To help deal with the Houston heat, the Texans practice from 8am until a little after 11am. 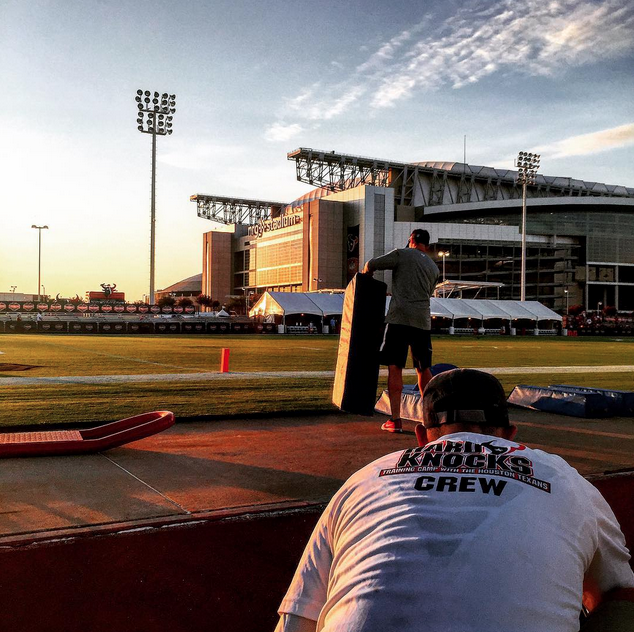 While Hard Knocks has been in warm locations in the past — Dallas, Miami, and Atlanta, for instance — this will be the first season the show will follow a team that does most of its activities before 1pm. In keeping with the recent pattern of the series, however, the featured team will be traveling to scrimmage and practice against an opposing team. So just as the NFL Films crew in Houston begins to get a feel for the landscape there, they will have to pack up the equipment, load the buses, and go on the road for the Texans’ practices in Richmond, Virginia against the Washington Redskins. The crew is used to early mornings and late nights during Hard Knocks season. The road trip is one example of how Dissinger’s crew in the field must have the ability to adapt for the show to be successful. New stories will always surprise them regardless of how much they’ve prepared. 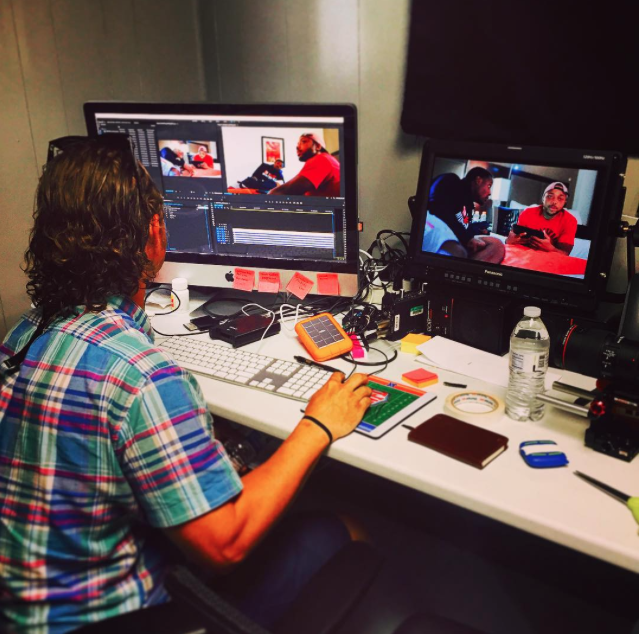 While the producers of the show can’t control the environment in Houston, they must decide what material from the hundreds of hours of footage that are shot each week will make the final cut. What makes it to air is determined by a process of constant decision making by the editors. That instinct of “fandom” has helped connect the content to the audience since since Summer of 2001, and remains a significant reason that so many viewers have Hard Knocks circled on their calendar again this year.